Many authors are confused when it comes to using italic in their writing, but within publishing the conventions are fairly simple, and the above definition sums it up very neatly. Follow this and you won’t go far wrong. So, what should be put into italic? Basically, relatively little. There is no rule at all that says you have to use italics for anything. When we speak, the intonation and body language we use illustrates the emphasis we put on any one word or phrase, often by that annoying habit of people wagging their index fingers as if being a quotation mark. In writing, we have to use other means. In handwriting unless you were a calligrapher, the method used was either a different coloured ink or underlining. This has developed into the internationally accepted standard of italic font as used by the printing industry. 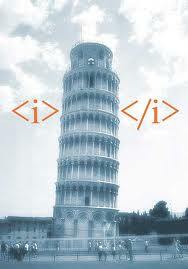 In typesetting, a word underscored means “put into italic”. Text that is interspersed constantly with normal and italic fonts is hard on the eye. The best guide is to only put into italic a word that you want put emphasis on, to enable the reader to fully understand and engage in the meaning. For example: “You will do it” and “You will do it” each have a different meaning. The first, a soft, supportive statement; the second, an imperative order. A word on underlining. Do not use this in novels or reference books, especially when self-publishing. With the narrow spacing between lines, underscoring makes reading tiresome and difficult, and in ebooks it highlights a word for other means. Do not use underline and bold together, and definitely a big no no is Italic, underline and bold. NO NO This is out and out overkill! Apart from highlighting a word for emphasis, we also put into italic any foreign word or phrase borrowed from another language and has not yet become part of everyday English language usage, particularly French and Latin. For example, terminus a quo would be in italic; status quo, not italic – the former an uncommon phrase, the latter now part of everyday English. 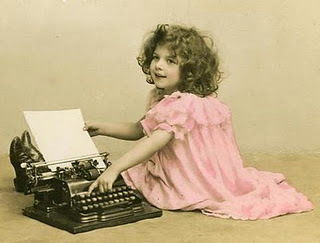 But the writer doesn’t necessarily know what is still a foreign word or what has now become an accepted word in English. This is where having a comprehensive, up-to-date dictionary is worth the cost. 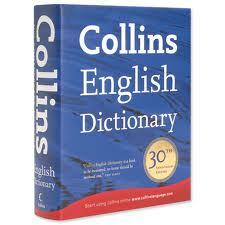 Ones such as the Collins English Dictionary or the OED will list words with their correct italic/capitalisation format. What does cause confusion is where foreign food and drink are concerned. You wouldn’t expect to see quiche or spaghetti bolognaise or linguine in italic, however coq au vin and Coquilles St Jacques would be. Likewise, you would have a glass of burgundy or perhaps you’d prefer the Cote du Rhone. None of these words would look or be wrong if they were in normal font. It’s a matter of choice or editorial preference or house style. What is important is to be consistent. If you put a word in italic, ensure every time you use that word in your book it is in italic. Most publishing houses have their own rules and guidelines on this matter, and if writing for one of them, obtain a copy of the in‑house style sheet. Newspapers also have their own convention. What about when citing songs, books, film or play titles, newspapers and magazines, painting titles? The modern convention is for these to be in normal font but there is nothing wrong in putting into italic if you must or if the house style dictates. What they shouldn’t be in is quotation marks. Quotation marks are for dialogue and quotes; that’s what they’re there for, that’s their job. If you decide to put titles into italic, that’s fine too. Nothing wrong in doing so. An accepted convention, even in the press industry, is to italicise the names of newspapers, journals and books, but even that convention is slowly eroding and everything kept in normal font. The main factor in all is consistency throughout the document, the only rule here being, if you use italic for a newspaper title, use it for any book or magazine title, too, within that book. Note: the word “the” does not go in italic nor should it be capitalised: the Guardian, the Sunday Observer. (More on capitalisation in a later blog.) However, if a book title is published as “The War of the Worlds”, then “the” should be set to italic too. Punctuation with italic: any punctuation that follows an italicised word/s or should be in normal font. With quotation marks, if the whole sentence or quote is in italic, it is acceptable for the opening and closing quote marks to be italic although it is now common for normal font quotation marks to be used and only the actual quoted words in italic. Again, this is a matter of preference. Location and place names, names of shops and venues, pop groups etc, brand names, pub names, should be in normal font. Names of ships, trains, TV and radio shows are acceptable in italics. But the use of italic doesn’t end here. You can put whole paragraphs or sections into italic if you want to show something by way of illustration or to make it stand out from the rest, ie a letter or a quotation, or different sections, if perhaps writing from, say, two different viewpoints or timeframes, such as in a timeslip novel. Any sections in italic should begin on a new line, and any word/s that would normally be emphasised in italic within that paragraph or section, put to normal font. You could even write the whole book in italic if that is your want, reversing the font switch. So really there are only two things to consider: 1) use for emphasis only and for foreign words, 2) be consistent in whichever choice you make within a document. Excellent post. I’ve struggled with when to italicize and when not to on many an occasion. Looking forward to reading more of your editing tips! Thanks for comment, Melanie. More tips and hints in New Year. Hope all going well with the book! Wonderful post. I am struggling with this subject right now. Your twitter friend. Glad to have been of help. There’s plenty more tips and hints on writing to come. Stay tuned! Thank you, Ann. Will be further posts to come on things like capitalisation and so forth in the near future. Hello Harry. Great to see you here. Thanks for the comment. Always so useful to remind ourselves of punctuation, usage and grammar. i really enjoy your page, Kit and am grateful for your reminders. Thank You! And of course, my fingers slipped off the keys, and I produced a small “i” …Lol! Great job, Kit, on a very difficult and somewhat ambiguous topic! Italics are difficult for most people. Even many academic grammar books that I’ve made freshmen students buy give conflicting information. Thanks Vickie. Like most things with grammar, punctuation and format, there is always conflicting opinion on what you should or shouldn’t do. And like most things, there are really no hard and fast rules.